Someone wants to kick Microsoft, Google and Apple off from his land, but himself uses Gmail and Mac. The newly appointed Internet Tsar German Klemenko, who is the first internet advisor of Vladimir Putin, wants to kick off American Giants from Russia. 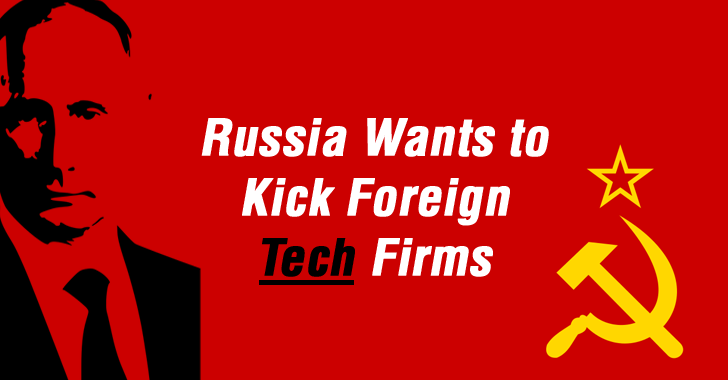 In a 90-minute interview conducted by Bloomberg, Klemenko expressed his interest to vanish the presence of tech biggies of foreign countries from Russia. 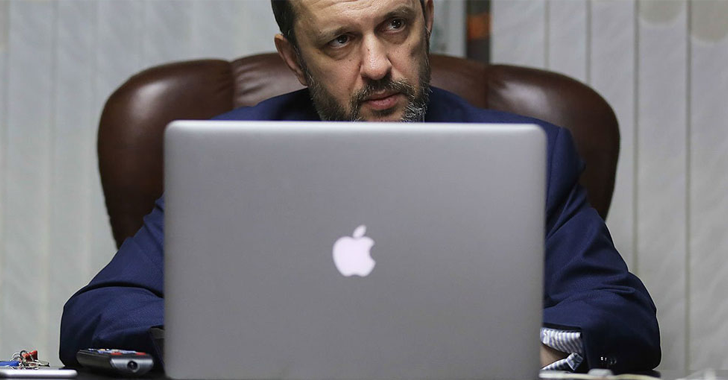 As part of this, Klemenko plans to hike the tax on foreign companies, including Google and Apple, by 18% VAT on their applications & services sold online. It is estimated that Apple, Google and other companies are nearly gaining RUB 300 Billion (£2.7 Billion, US$4 Billion) in revenue every year from Russia. "When you buy an app from Google Play or the App Store anywhere in Europe, VAT is charged at the place of payment, but not here in our banana republic," says Klemenko. The proposed movement will be backed up by Andrey Logovoi, a parliament lawmaker and former KGB (Russia's Committee for State Security) agent, who have been accused by the UK of assassinating former agent Alexander Litvinenko in London. Klemenko, as the first Internet advisor, is more focused to expand the Russian Internet Market by promoting the home-brew projects such as Yandex, Mail.ru , VK social network and much more. Klemenko is making another movement to replace Windows Operating System with Customized Linux for the Government offices. He claimed that 22,000 municipal government are ready to install Linux. This is the similar situational turn as China had followed earlier by building their customized Operating System named NeoKylin that underline the presence of National Internet Identity across the cyberspace. Google track everything, responds to 32,000 requests a year from US agencies but it won’t answer one from Russia, according to Klimenko. It seems that both the nations are unhappy with the worldwide surveillance programs conducted by the US intelligence agency NSA and its British counterpart GCHQ which indulge into one’s private life. “We have to consider this as a kind of potential threat to our national security,” he said. This stringent movement would put an end to the foreign snooping programs which is a major concern for the Millions and also would draw a Green Arrow vertically in the Russian Stock Exchange. The shipment of their own manufactured SmartPhone “Xiaomi” to many countries. Weibo, a Social Networking service which had reached beyond 100 million active users. Kicking Off: A Feasible Option? Kicking off foreign technologies from the nation would raise the eyebrows of many, as today's intended world is being linked via wires to achieve the connectivity and maintain a healthy relationships with the foreign counterparts. Keeping Espionage apart, the proposed plan would hinder the future unified developments which could benefit the nation. If every country would follow the same crooked path, then our Mother Earth would not be different from other lifeless planets as all are being isolated in their boundaries. Let's see what other demands are cooking up in the mind of Russia's new Internet Tsar!